The force is strong in Tunisia. Standing in the actual Boonta Eve pod-racing arena, you'll almost hear the crowd roar as Anakin Skywalker's pod racer speeds over the finishing line! As you take a selfie outside Luke Skywalker's house on the planet of Tatooine, is that distant sand cloud Luke's landspeeder or approaching Imperial Stormtroopers? 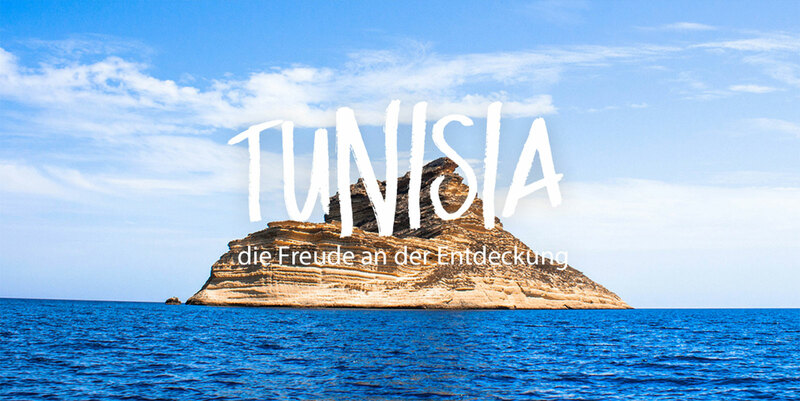 In genuine movie locations from Star Wars and Raiders of the Lost Ark to Monty Python's Life of Brian, you'll discover that as well as being the perfect location for a sun and beach holiday, Tunisia is one giant film set. Although Star Wars was set in a galaxy far, far away, many exotic scenes were filmed a mere three hours flight from the UK. In Matmata, the Hotel Sidi Driss was used for interior scenes, so you can sleep in Luke Skywalker's underground home or take a seat in the Lars family dining room. Just leave some time to feel the force of a chilled glass of Tunisian wine or local beer in the Star Wars themed hotel bar. 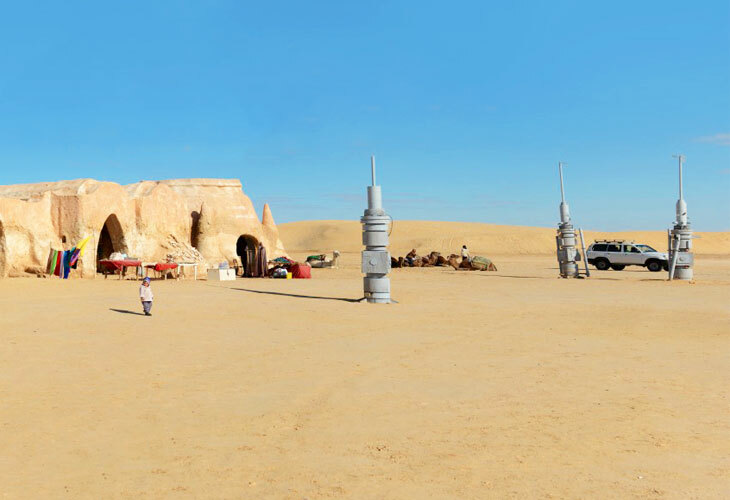 The charming desert town of Tozeur is another magnet for Star Wars fans. The Mos Espa set, the Lars homestead, the Sith infiltrator landing site and the famous Star Wars canyon are found near this lush oasis. The Mos Espa set still stands in the middle of the desert, where you can wander its streets and see Sebulba's café and Watto's shop. Nearby, you'll see the Boonta Eve pod-racing arena and the striking sandstone columns that feature in the Jedi duel between Qui-Gonn and Darth Maul in Episode I.
Luke Skywalker's home shimmers in the dry salt lake flats of Chott El Jerid. It was moved here after the first trilogy and features in memorable scenes from Attack of the Clones and Revenge of the Sith, including Shmi Skywalker's funeral. For the perfect photo opportunity, visit when the (lone) sun sets over the golden desert. Star Wars is only the beginning of your film tour. 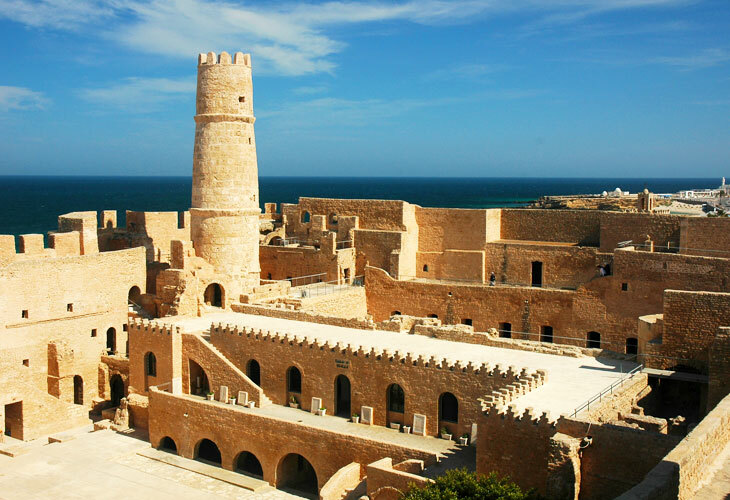 Not far from some of the best beaches in the Mediterranean, you'll recognise the ancient Ribat of Monastir from many films, including The Life of Brian and Jesus of Nazareth. Although the scene where Brian joined the People’s Front of Judea was actually filmed at the Roman theatre in Carthage. For Raiders of the Lost Ark, the medina of Kairouan stood in for 1930's Cairo, so near the Mosque of the Three Gates, you can recreate the famous scene where Indiana Jones shot the flashy swordsman! 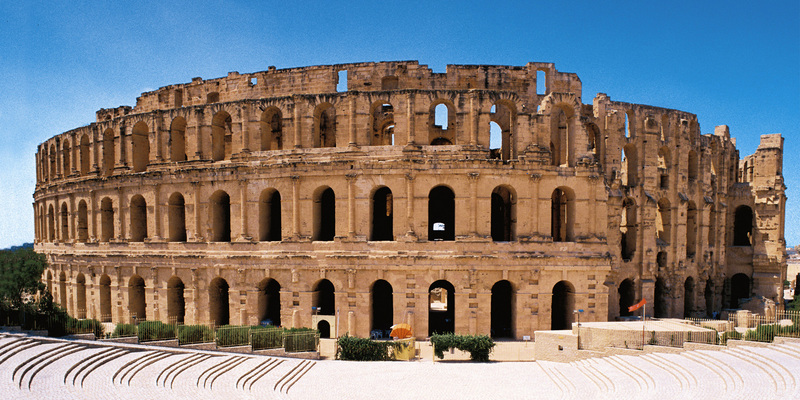 For The English Patient, Tunis doubled for wartime Cairo, although the medina scenes were filmed in the coastal city of Sfax and the invasion of Tobruk was recreated in the nearby port of Mahdia. You'll soon see why so many film-makers are inspired by these incredible places. 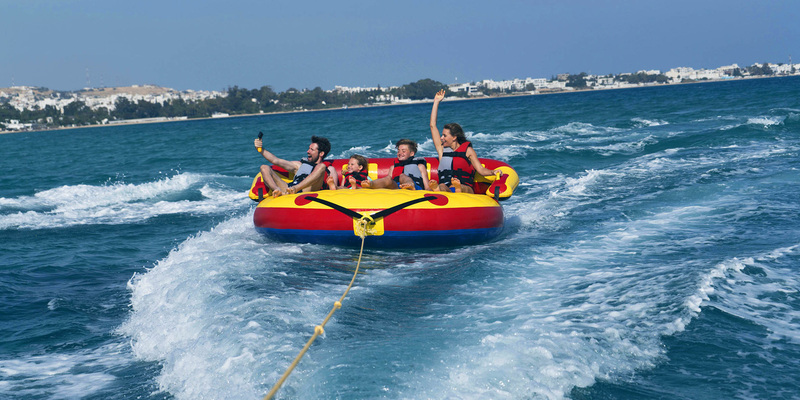 The beautiful beaches, golden deserts, rugged peaks and historic cities set the scene for a sun and beach holiday with the extra touch of Hollywood glamour. It's time to put yourself in the picture.